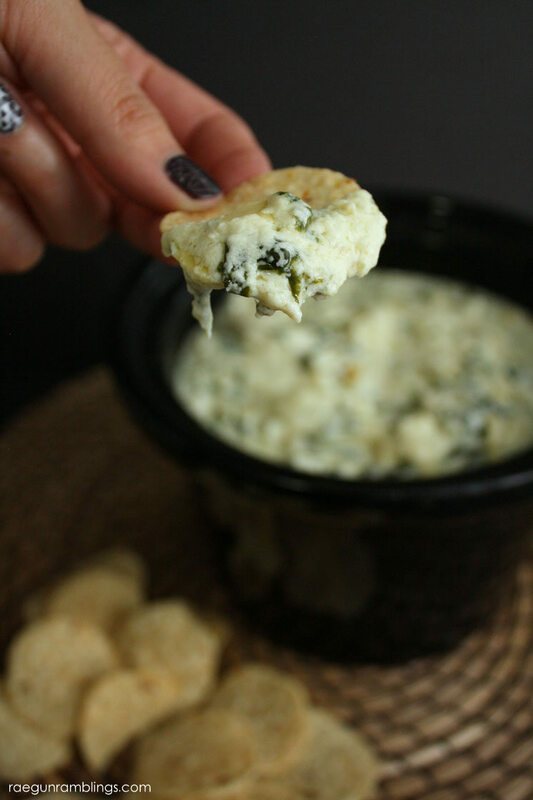 Party food is the best food in my book and these Game Day Bites are right up my alley. 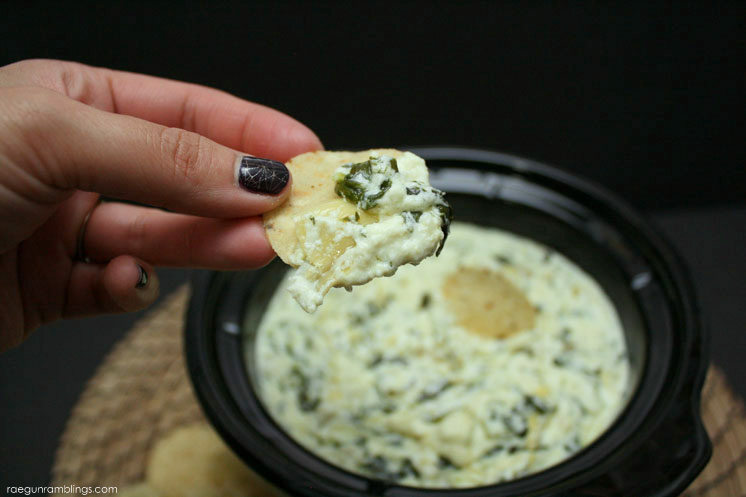 These awesome appetizer recipes and chilis are on my must make list. Whether you partake in watching the sporting events or just show up for the finger foods these Game Day Bite recipes will make for a great get-together. I can’t wait to try all of them! 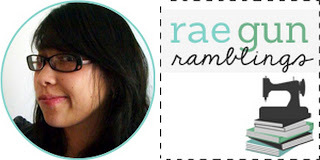 Marissa here from Rae Gun Ramblings as your host today anyone else ready to get their snack on? 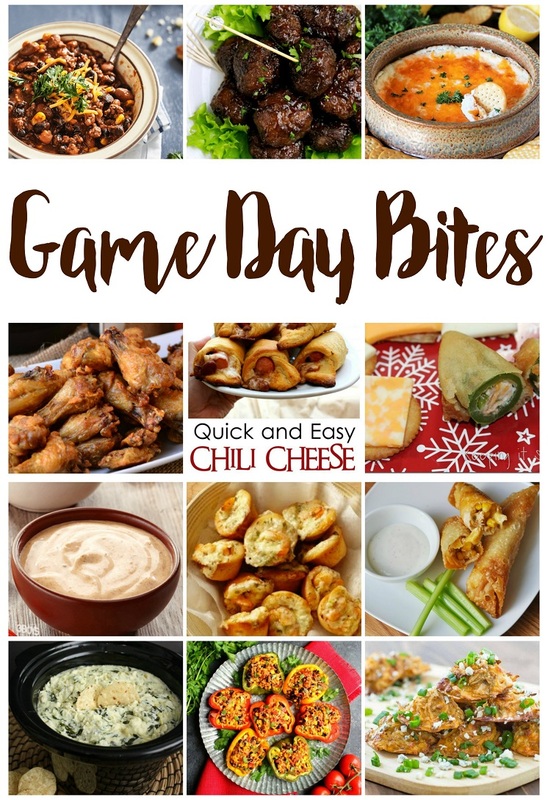 We’d love it if you pinned the Game Day Bites Round Up! School has started and fall is just around the corner. 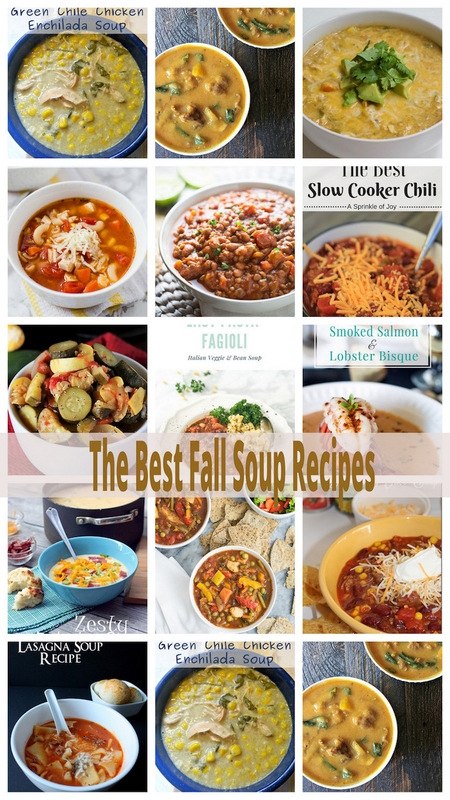 I can’t wait to pull out soups for cooler weather! These are the best fall soup recipes. 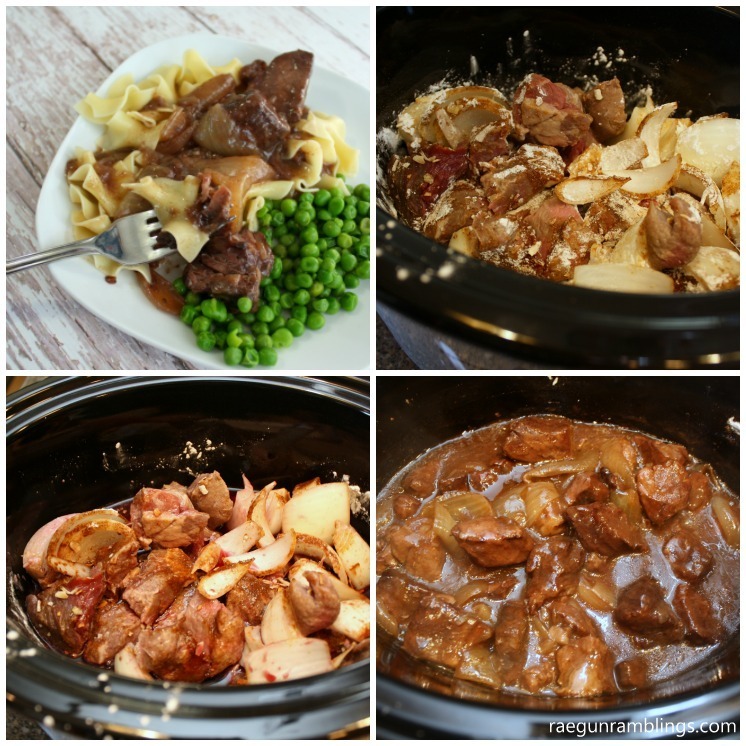 All you have to do is dump the ingredients together and bam a few hours in the slow cooker and you have a tasty meal the whole family will love (I know mine does)! Place all ingredients (except for the egg noodles) into the crock pot and stir. Cover and cook on high for 5-6 hours or low for 10-12 hours. 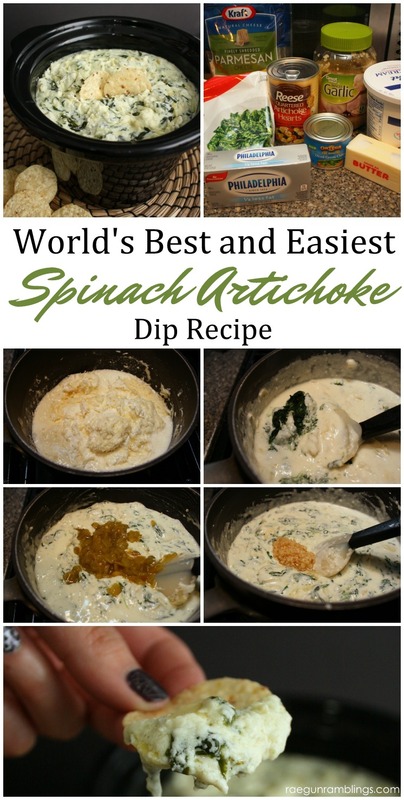 So insanely easy and so yummy! As a bonus, if you happen to have leftovers you can use them in lots of ways. 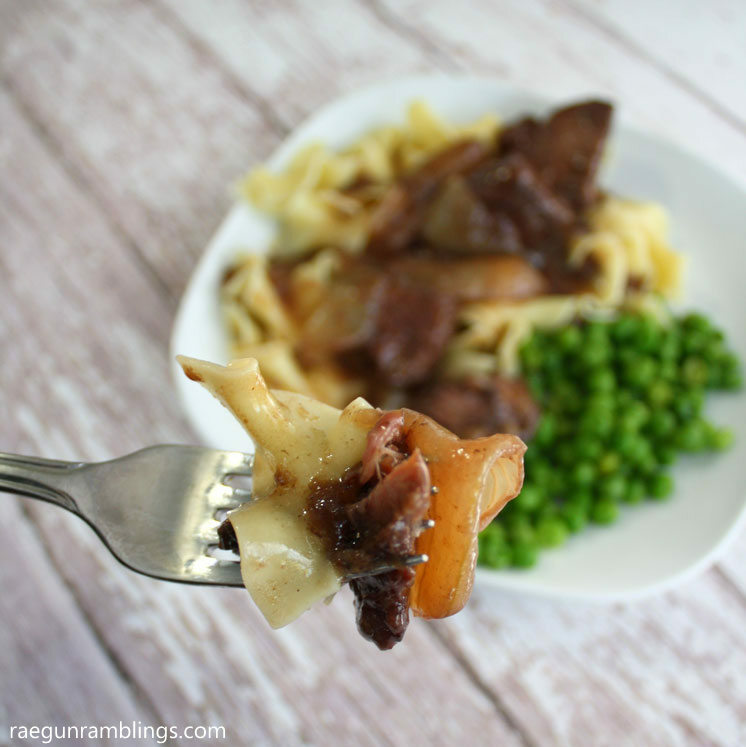 One of my favorites is to add some sour cream and mushrooms (and a little beef broth if you need to thin it out) and you’ve got a super easy Beef Stroganoff! 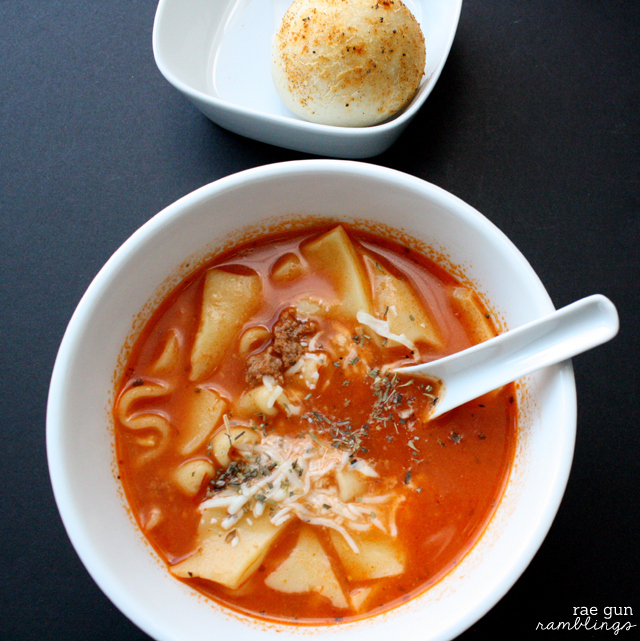 I’ve also thrown it in to packaged ramen for a flavor boost and yummy soupy noodle twist! Gotta love a meal prep that can pull double (or even triple) duty right? Now that it is spring things are getting busier around here. So busy that it’s hard to plan for dinner some days. So I wanted to share some easy and yummy recipes. 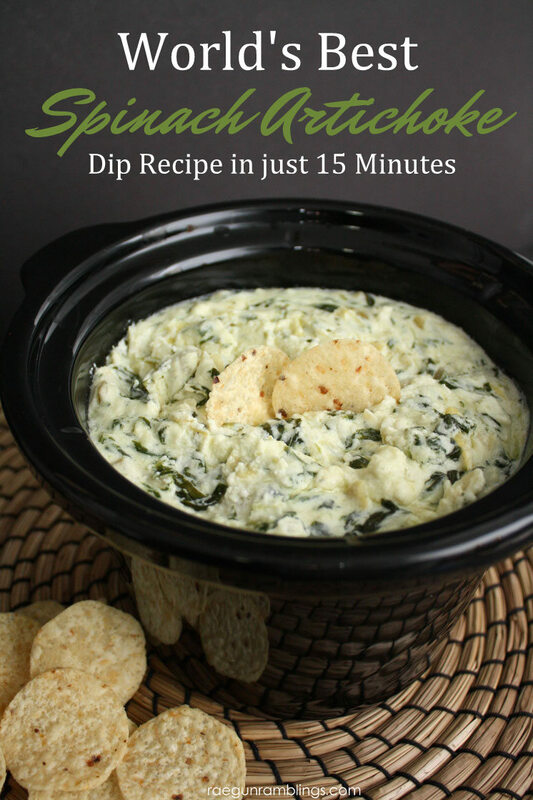 Some are crock pot recipes (which is great for the warmer days) and some are just easy. Either way, they all look delicious! Is there anything better than fall of the bones ribs? 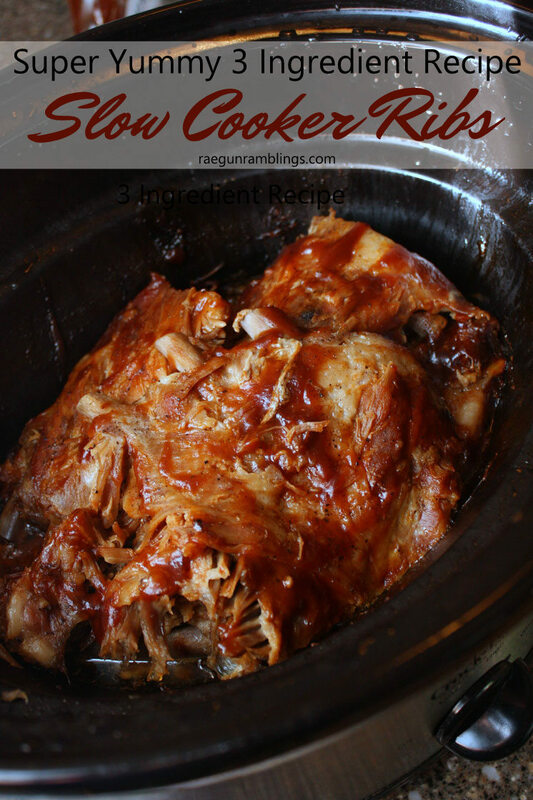 How about a crock pot recipe with just 3 ingredients that tastes amazing. 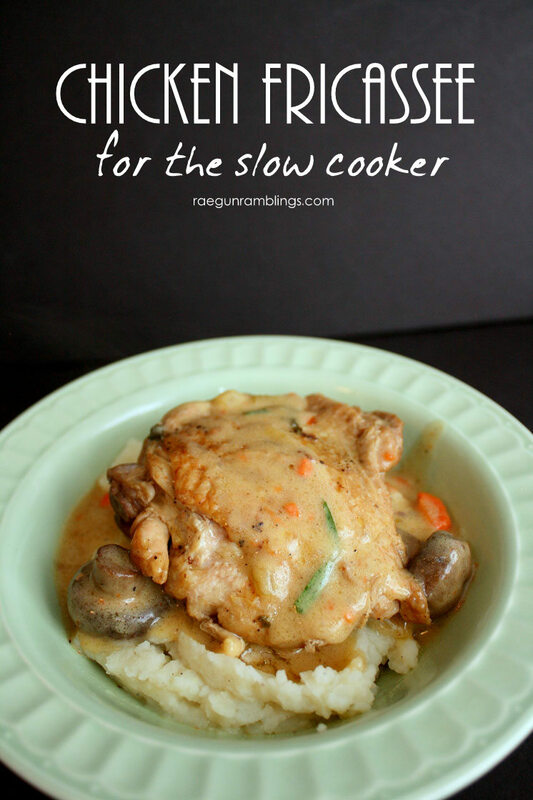 This low maintenance easy peasy slow cooker recipe is one of my all time favorites. You pretty much throw everything in the crock pot and and you get some of the best ribs you have ever tastes. It’s also super versatile since you can easily change up the flavor by changing your sauce at the very last step. Cut the ribs into 2 or 3 rib portions. Place ribs into crock pot, sprinkle with salt and pepper and top with the water. 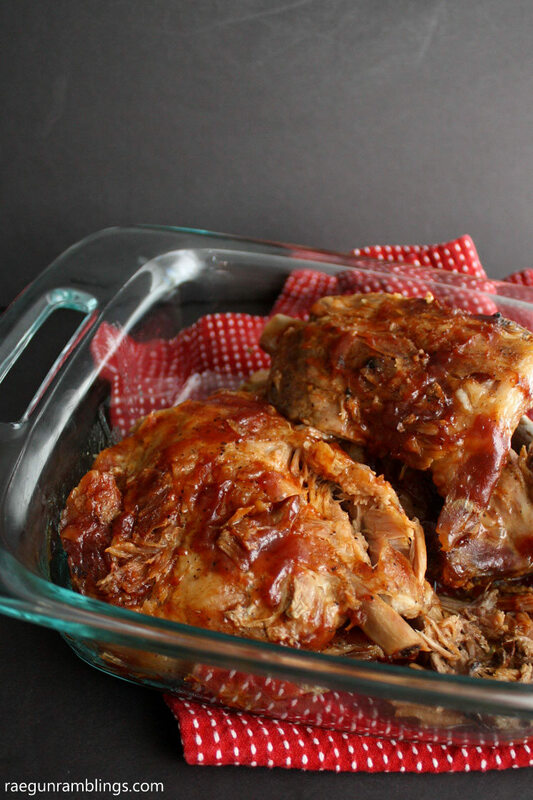 Cover with your favorite BBQ sauce and cook for an additional hour. I gently stir or spread the sauce onto the ribs to fully to get the sauce evenly distributed. 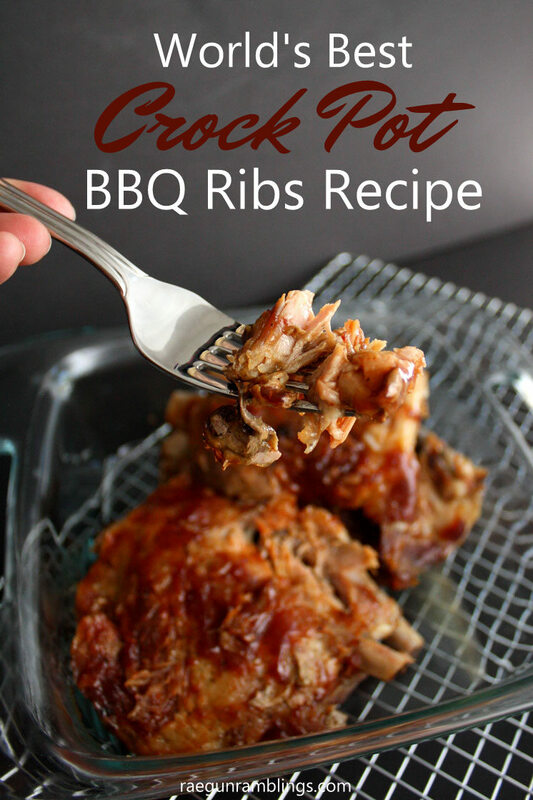 I usually use a sugar based cheap grocery store BBQ sauce and this turns out fantastic. But I have been doing Whole 30 and I’m planning on making these later this week with a cherry BBQ sauce that doesn’t any any added sugar. If it turns out good I’ll definitely share the recipe for that! 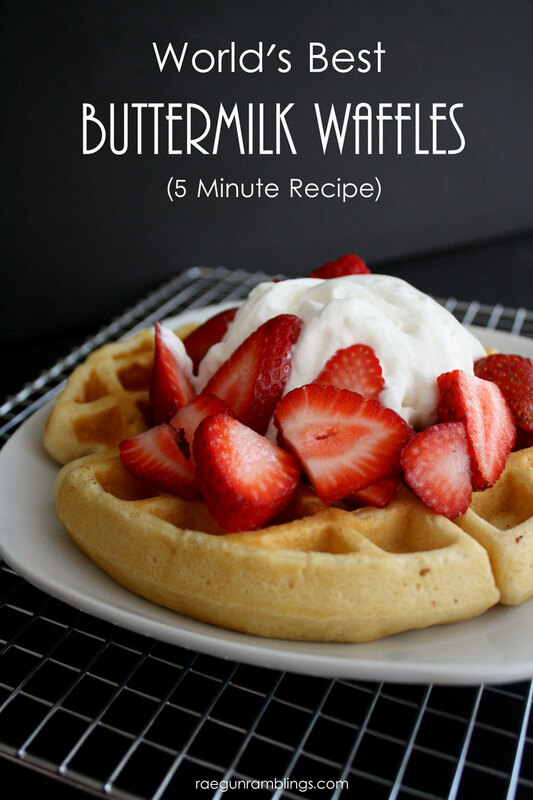 No need to ever buy waffle mix this buttermilk waffle recipe is so easy and so good. 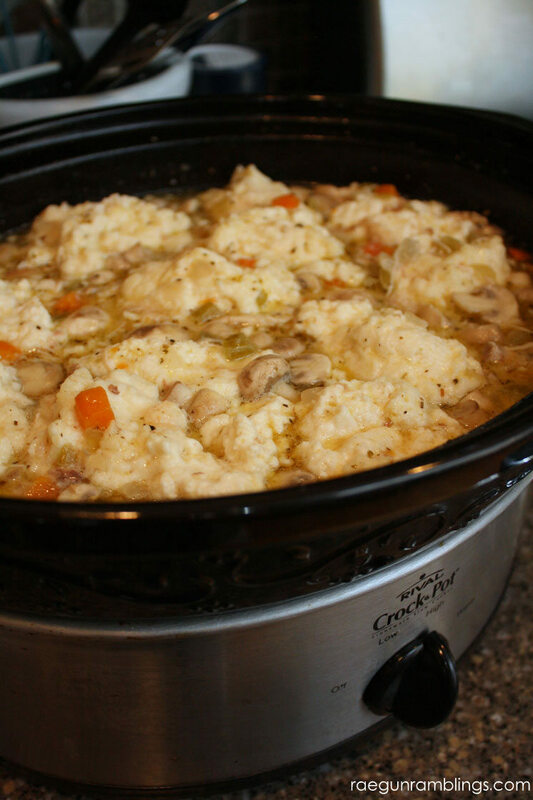 There’s nothing better than coming home to a house smelling delicious with a crock pot full of yummy food waiting for you after a busy Fall day. 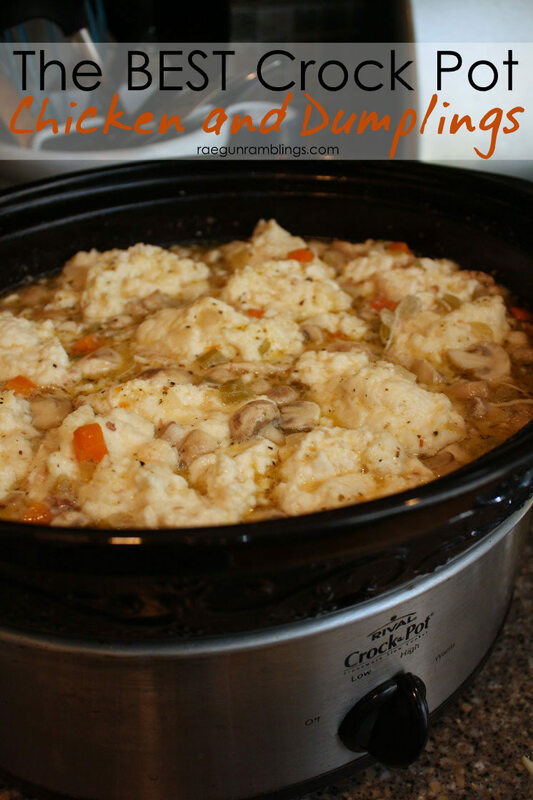 This crock pot chicken and dumplings recipe is one of my new favorites. I’ve feed it too the whole family and not only did they all gobble it up but my sister was begging for a repeat the very next week. You can definitely just dump the first group of ingredients in the crock pot but since you are already going to make a cream sauce to stir in later I like to take the extra 5 minutes to brown the chicken and veggies. I don’t cook them through just get a bit of color on them by first browning the chicken skin side down in 1 TBS of butter. I remove those to the the crock pot once browned just a few minutes. And toss the onion, celery, and carrots in the pan and brown for a minute or two. Add the first batch of ingredients into the crock pot and cook on high for 4-6 hours. I leave the dirty pan covered to use later. 1/2- 1 hour before eating if you used bone on chicken remove the bones. I keep the skin but you can discard that if you want. I don’t bother shredding the chicken since it breaks apart fast jut by stirring in the rest of the ingredients and I prefer to have some bigger pieces of chicken. Add in your quartered mushrooms if using. Next make your cream sauce. Start by making the roux by melting your butter and cooking your flour in the butter. Stir in the milk to form a cream sauce and season to your family’s taste. Stir into the crock pot. Taste and add any more seasoning you might want. Finally make your dumplings by mixing the bisquick, Italian seasoning and remaining milk together. 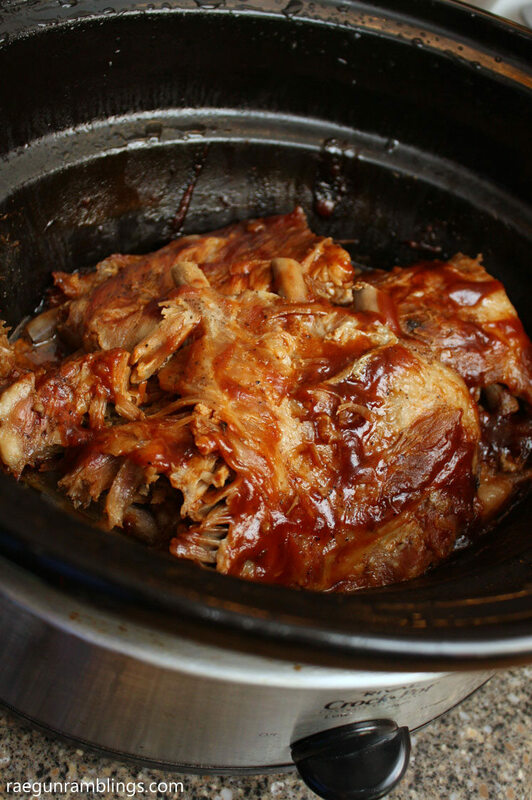 Spoon onto the top of your crock pot mixture and cover for another 2o-90 minutes. 20 minutes should be plenty of time for it to cook through but I’ve left it as long as 90 minutes and they were fine (although I do prefer the shorter cooking time myself). This is the best comfort food. So yummy and flavorful. I hope your family loves it as much as mine does! There is something so rewarding about coming home to a delicious crock pot meal at the end of a busy day. 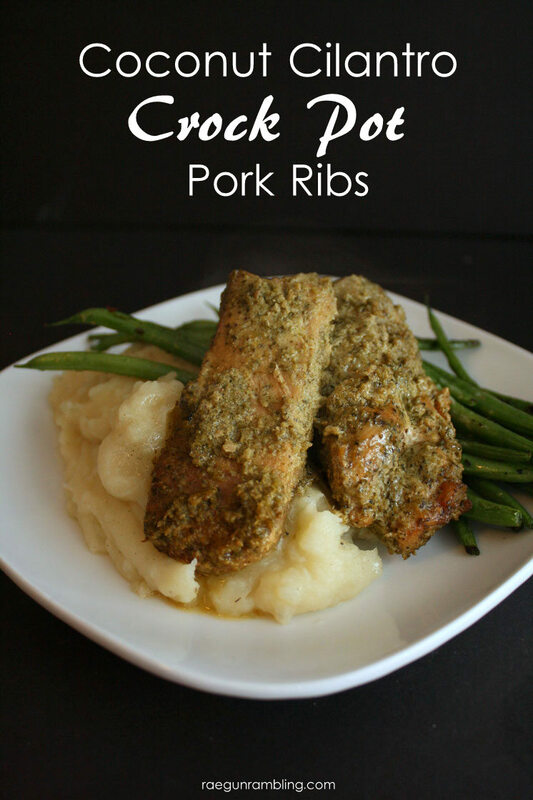 This Cilantro Coconut Ribs recipe is so delicious and easy and it can be made with traditional ribs, short ribs or really even pork chops. Any cut seems to adapt well to this recipe. 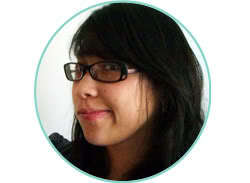 I’m a food tv junkie. I don’t have cable but I stalk the food shows on public TV and BBQ University is one of my favorites but I’m not really a griller. Also I’m not so much of finicky cook so I love adapting the complicated involved recipes like this one that Steven Raichlen shared for the grill. 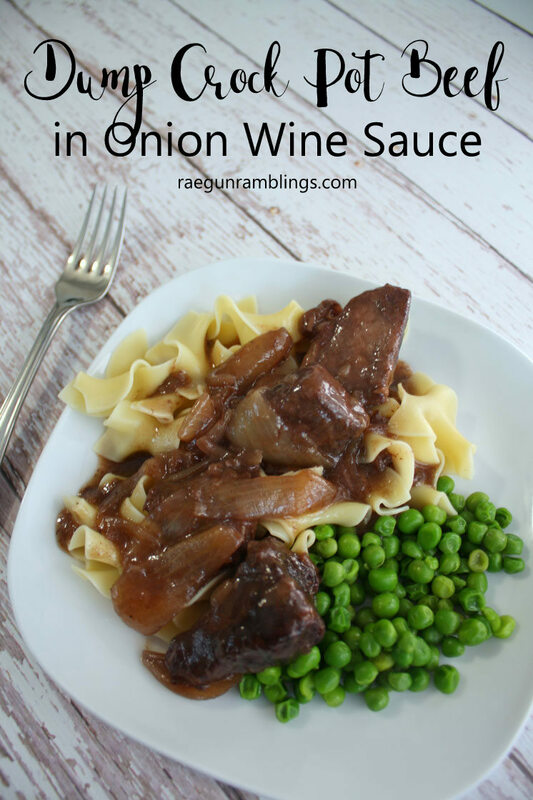 My version has the same tasty flavors but is so simple and hands off now that it’s been converted for the slow cooker. Blend all the ingredients except for the meat until smooth. Marinate the meat in the blended concoction 4-10 hours. I like to make the marinade the night before let it sit in the fridge and in the morning add it to the crock pot. Alternatively you can prep it all and freeze it and by the time it unfreezes it should be marinaded enough for the crock pot. Pour the ribs and all marinating juices into the crock pot and cook on high 4-6 hours or low for 8 hours. 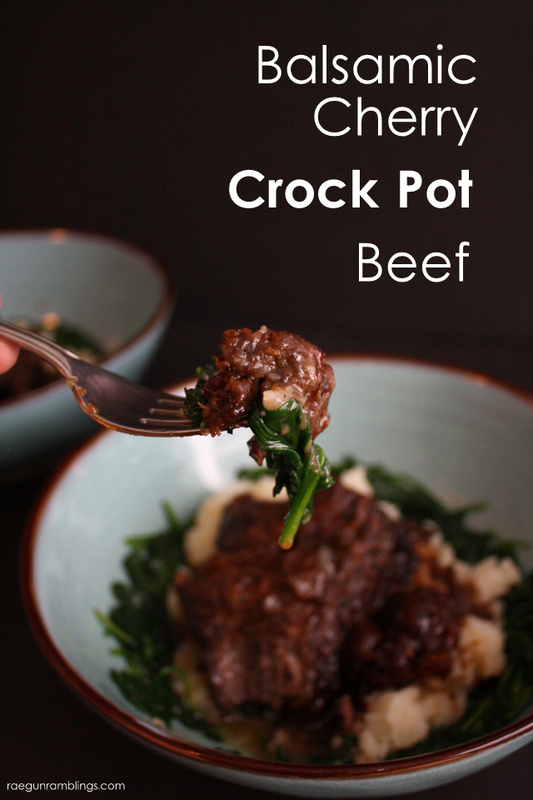 Super easy right, and not your normal crock pot flavors! 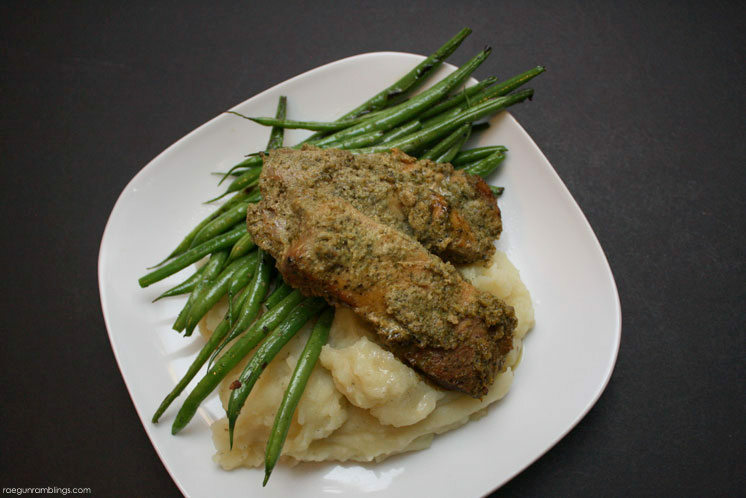 We love eating this with my favorite easy garlic rosemary roasted potatoes or simple mashed potatoes and fast green beans. 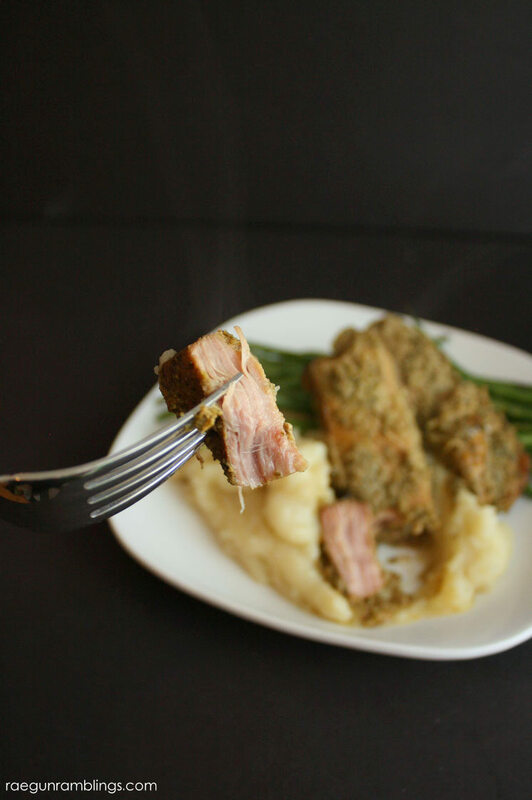 A few years ago I made a couple crock pots full of ribs both traditional BBQ ribs and these coconut cilantro ribs and it was a big hit. 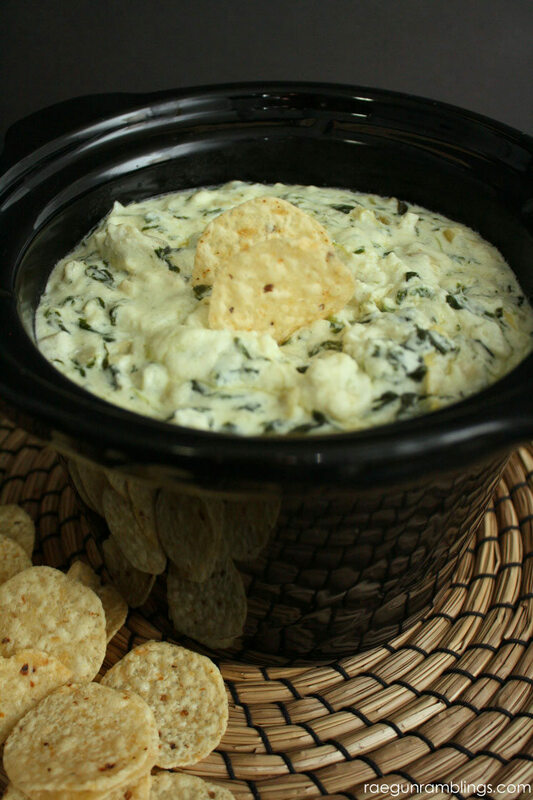 It’s awesome how such an easy mix and dump crock pot recipe can taste so unique and feel so fancy! 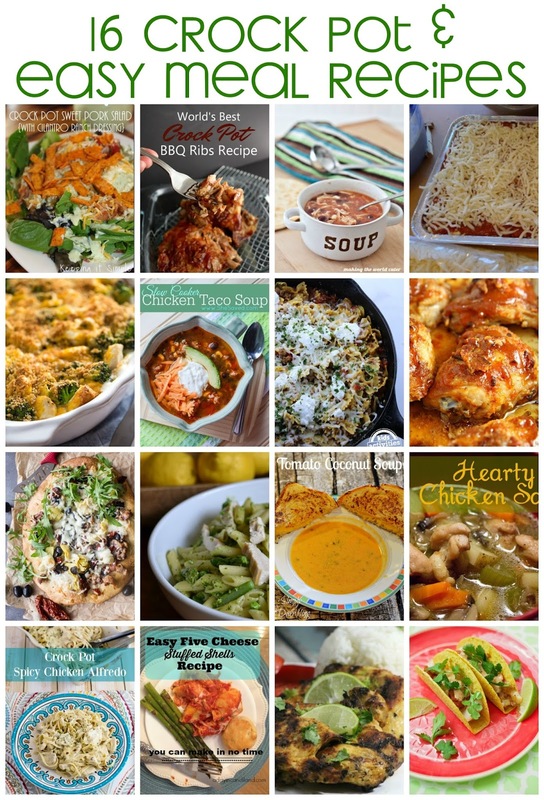 What more great crock pot recipes? 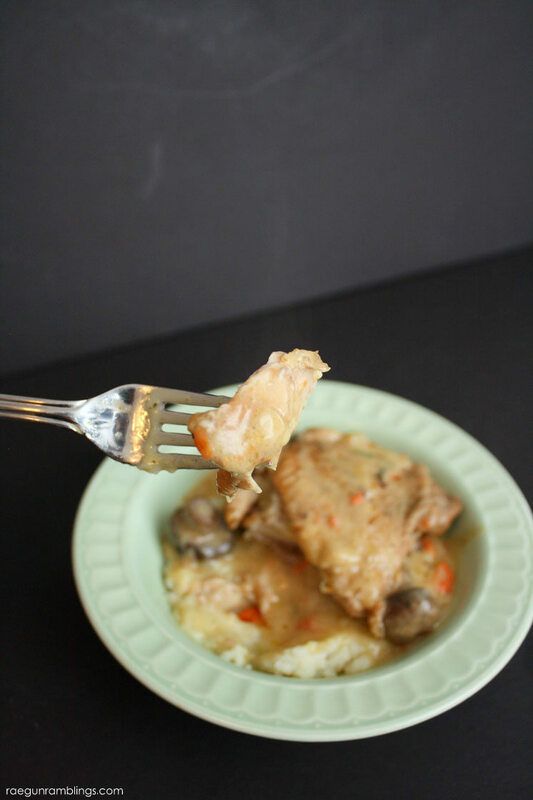 This chicken fricassee for the crock pot is SUPPPPER good. It’s like a French restaurant camped out in your slow cooker. And if you love corned beef you don’t have to save it for St. Patrick’s Day. 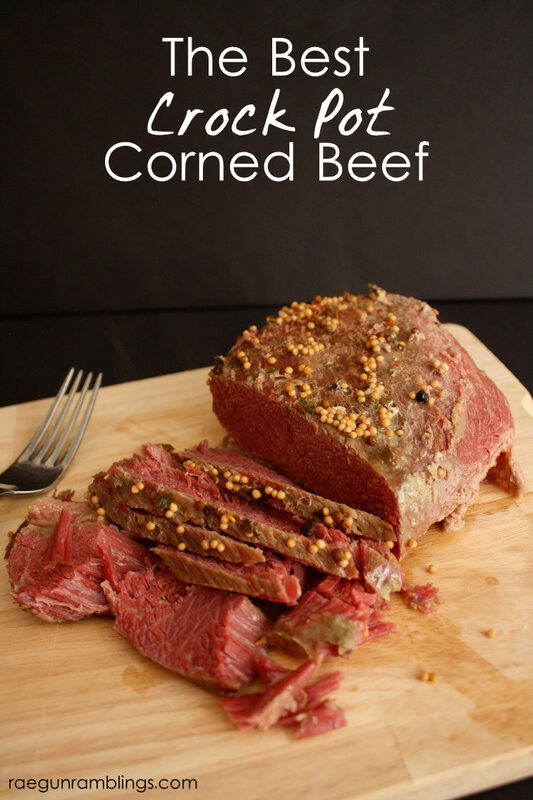 This crock pot corned beef recipe is so easy that you can have it multiple times of year. 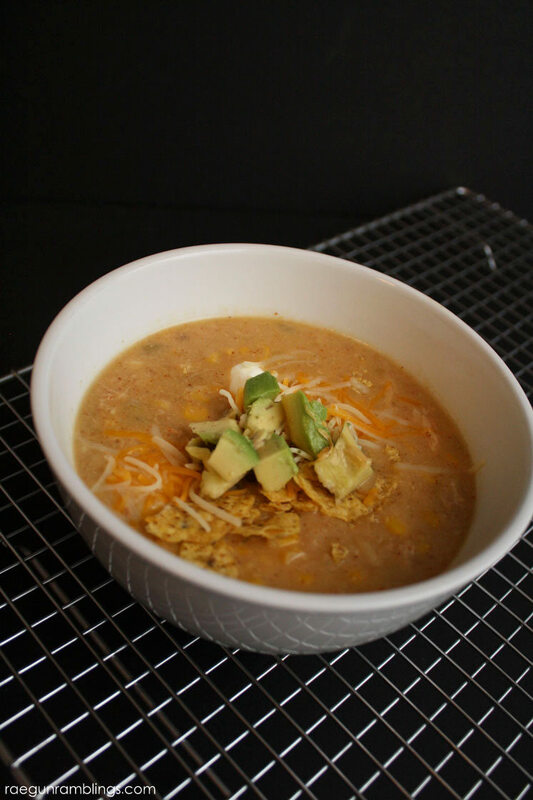 Ready for comfort in a bowl? 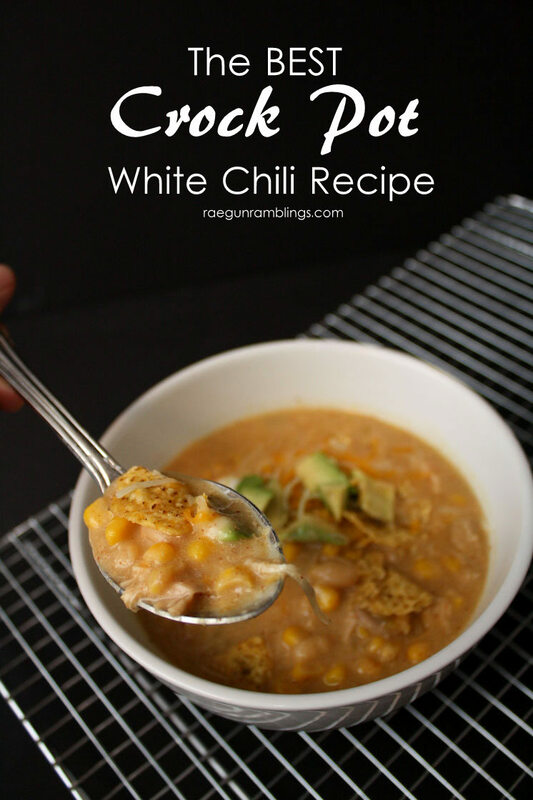 Well that’s what this Crock Pot White Chili recipe is. Seriously just thinking about it makes my mouth water. 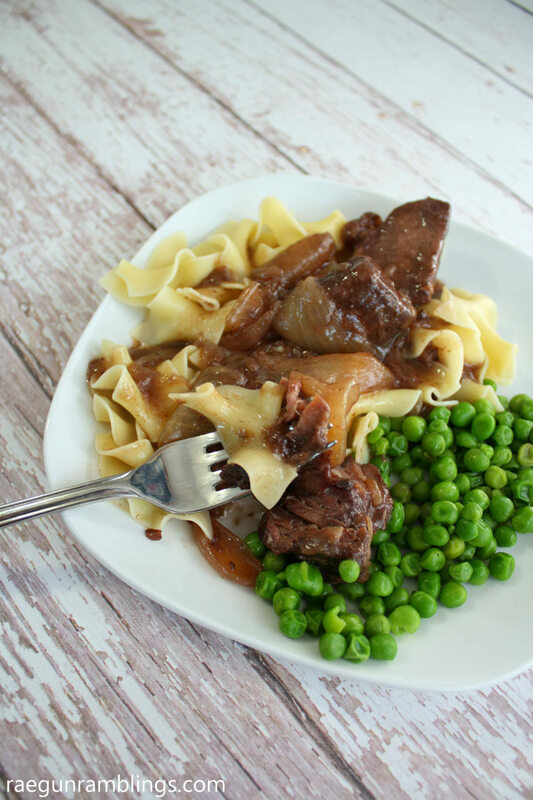 This has so much flavor with all the convenience of a slow cooker meal. It has a small amount of kick from chilies but the kids in our family still goggle it up along with every one else. I like to serve it with a big slice of my 3 ingredient cornbread recipe. Add all the first group of the ingredients to the crock pot. Making sure to drain all the canned ingredients. Cook on low for 6-8 hours. 1 hour before serving make the roux by melting the butter. Next mix in the flour and cook over medium heat. Mix in milk and bouillon. Salt and pepper to taste. Stir into crock pot breaking up the chicken meat. Allow to cook 1 additional hour (although if you’re in a rush 15 minutes should work). Right before serving stir in 1/2 C yogurt and taste. Add any additional salt and pepper needed. 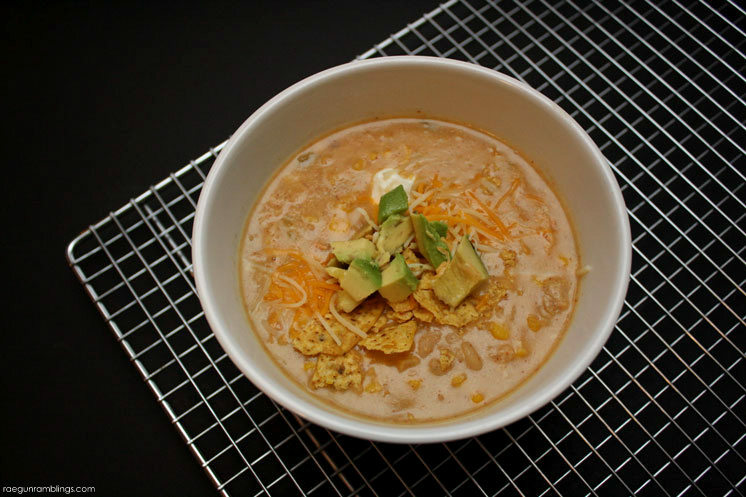 Serve topped with a generous amount of cheese, crushed tortilla chips, avocado and dollop of yogurt. Oh man this stuff is SO good and it freezes well if you find yourself with any leftovers! 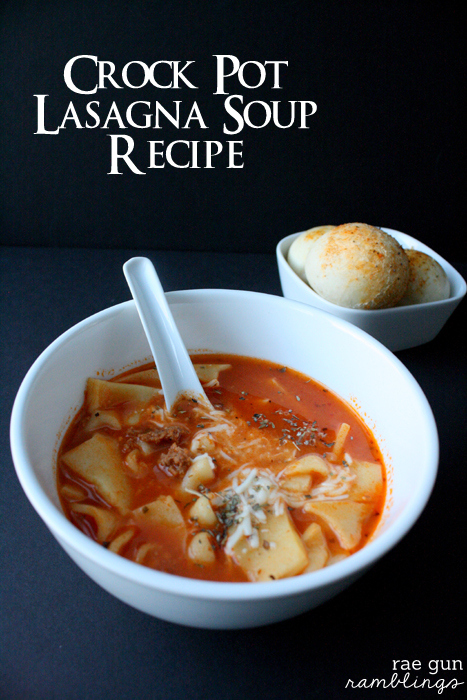 If you want more great crock pot ideas this Lasagna Soup for the slow cooker recipe is super easy and delicious. This Balsamic Cherry Beef recipe works fabulous with all different cuts of beef (roast, short ribs, etc.) and is SO tasty. 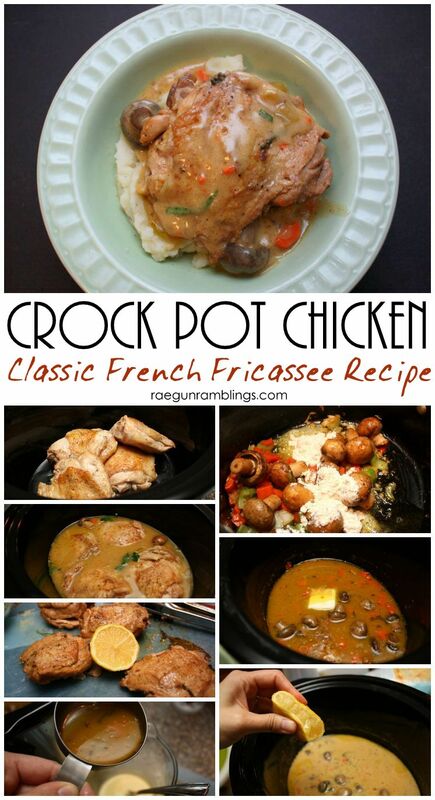 And my new favorite is my French Classic Chicken Fricassee recipe that I made crock pot friendly. Are you ready for your mouth to water? 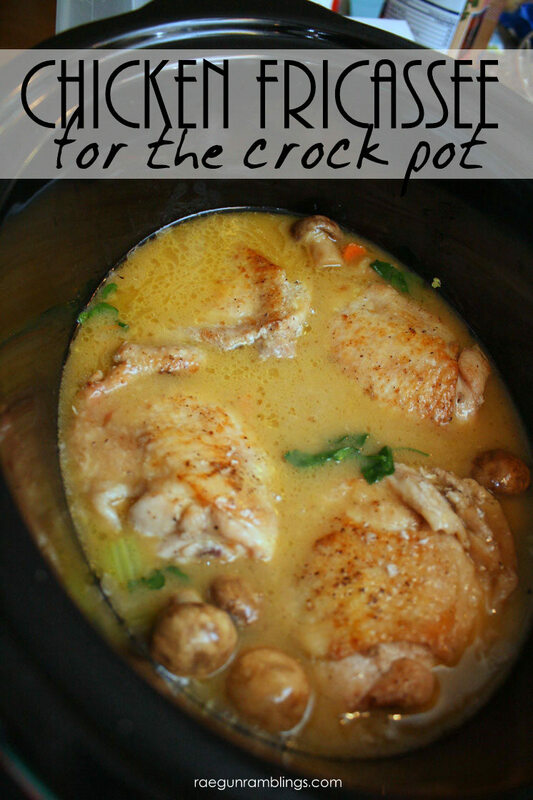 The Crock Pot Chicken Fricasee recipe I’ve got for you today is so good. Like I’m kind of drooling just thinking about it. The pictures don’t do this recipe justice. but trust me. 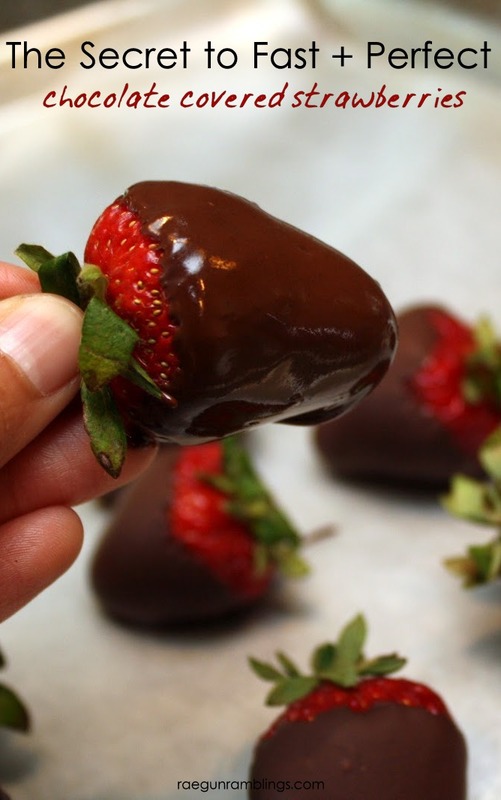 Your house will smell amazing and then your taste buds will do a major happy dance. 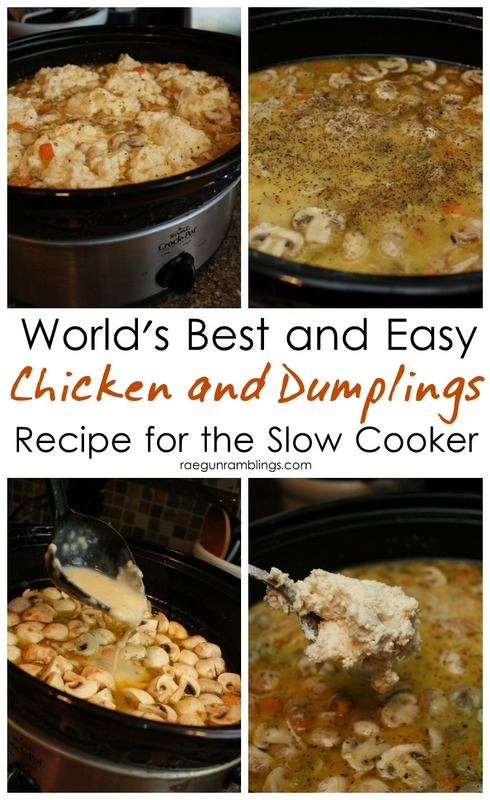 While this is a slow cooker recipe it isn’t your normal dump and go style. It takes some prep but I promise you it’s well worth it and so much better than heating up your whole house and being stuck at home for hours with the oven. Season your chicken thighs with salt and pepper. In a large pot melt 2 TBS butter and brown your chicken skin side down. 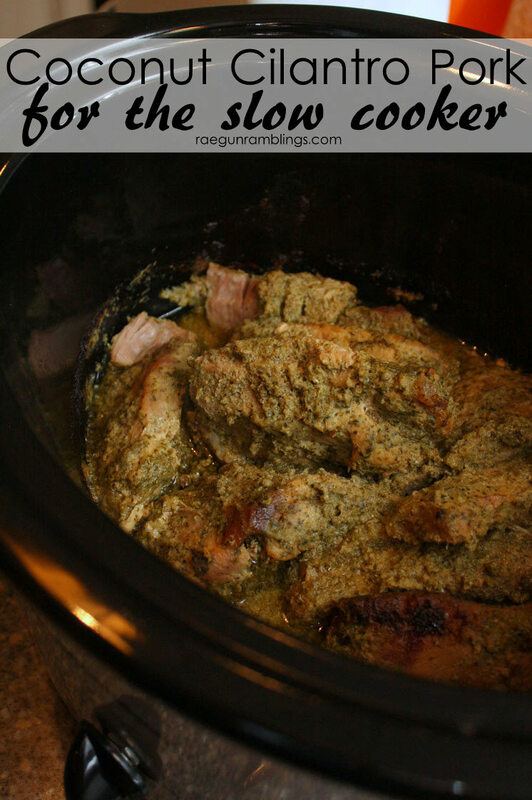 Place into crock pot skin side up. In the pot that you browned the chicken add chopped carrots, celery, and onion. Cook a few minutes and then add in mushroom and flour. Stir together to cook the flour a minute or two. Stir in the wine and allow to thicken in the mixture. Then stir in the chicken stock, thyme and parsley stirring and scrapping up any brown bits. If you don’t cook with wine you can just use extra stock. Pour over the chicken in the crock pot. And cook on low for 6-8 hours. About 20-40 minutes before serving time. Mix 1/4 C cream with 1 egg yolk. Add 1/2 C of liquid from the crock pot to that mixture to temper. Remove chicken from the crock pot. Add 1 TBS butter to the crock pot, stir in egg cream mixture, and squeeze in the juice of half a lemon. Add in chopped tarragon and chicken. Allow to cook covered for another 15-30 minutes before serving. I like to serve this over mashed potatoes. It’s so creamy and rich your mouth will thank you. Last time I made this my MIL was over and couldn’t stop talking about how yummy the whole house smelled. And let me tell you it tasted even yummier! 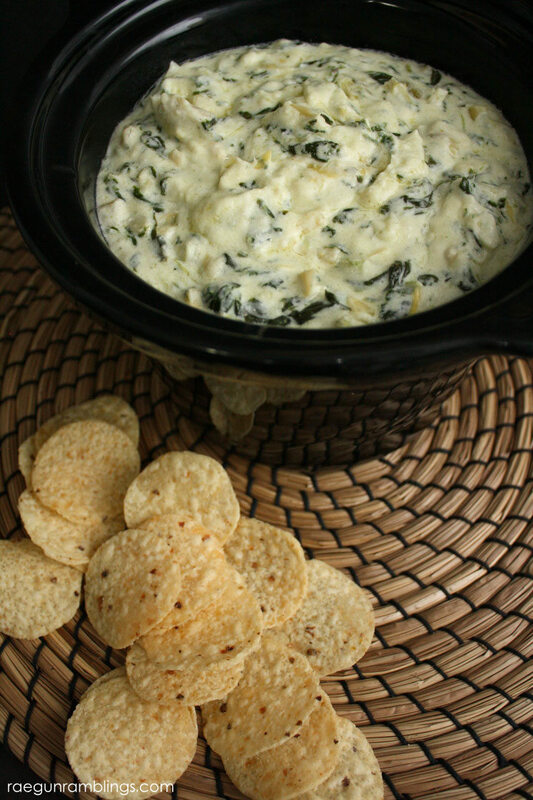 Want more great crock pot ideas? Here are a few of my favorites but see even more here. Balsamic Cherry Beef Recipe above. Super easy Crock Pot Lasagna Recipe we had this the other night and I was reminded all over again how yummy it was!